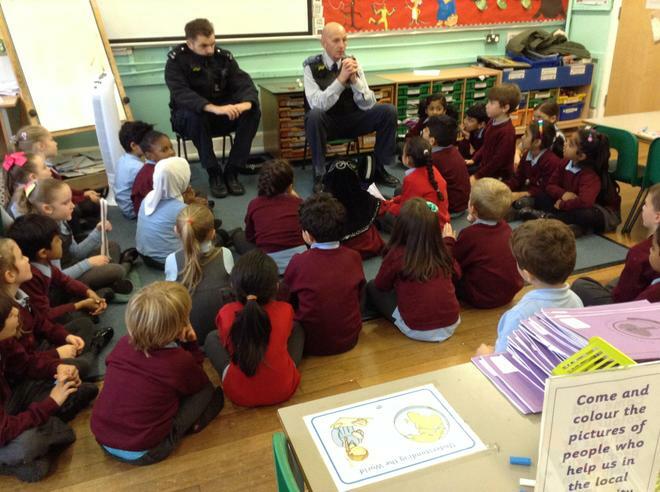 In PSHE we have been learning about people who keep us safe. 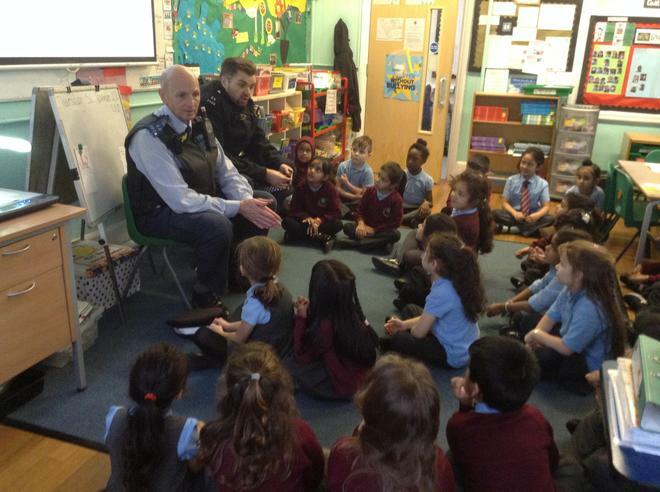 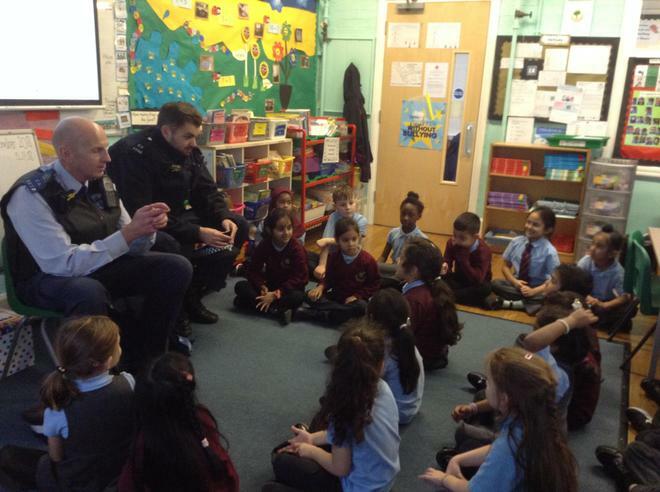 The community police came in to talk about how they keep us safe. 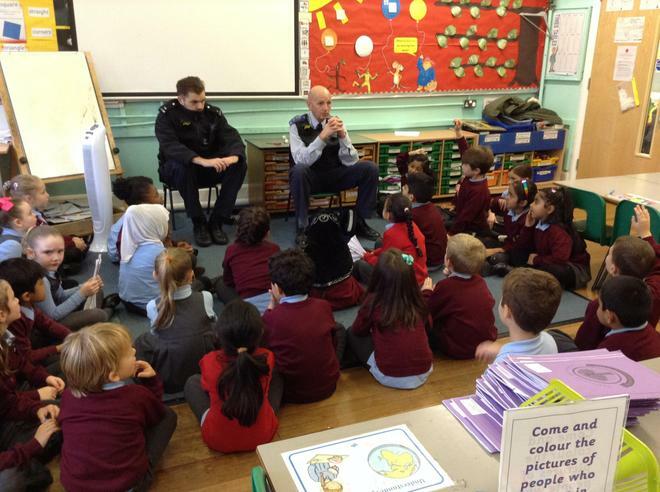 The children really enjoyed their visit and had lots of questions to ask them.